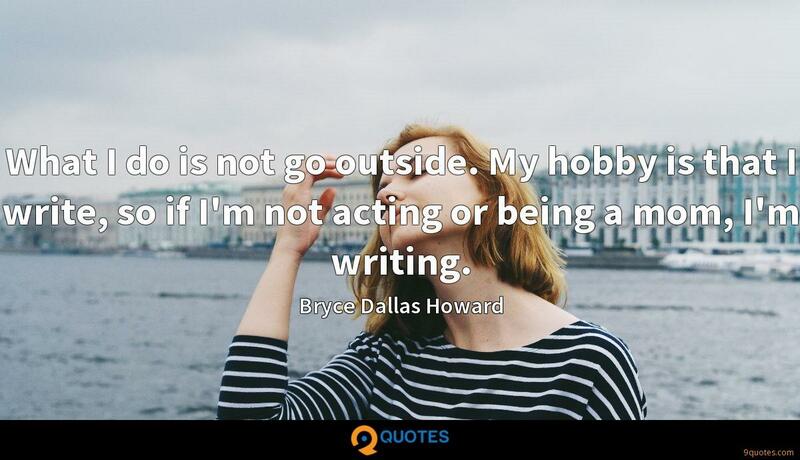 Bryce Dallas Howard Quotes. 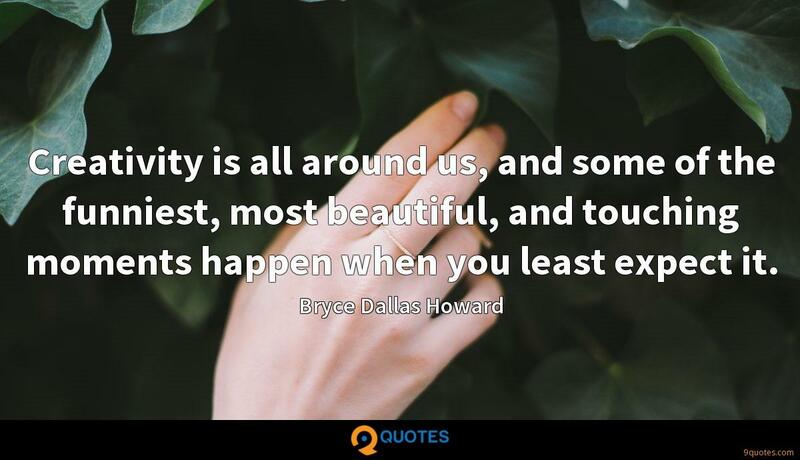 9quotes.com, 2018. http://www.9quotes.com/quote/bryce-dallas-howard-185680, accessed 20 April, 2019. 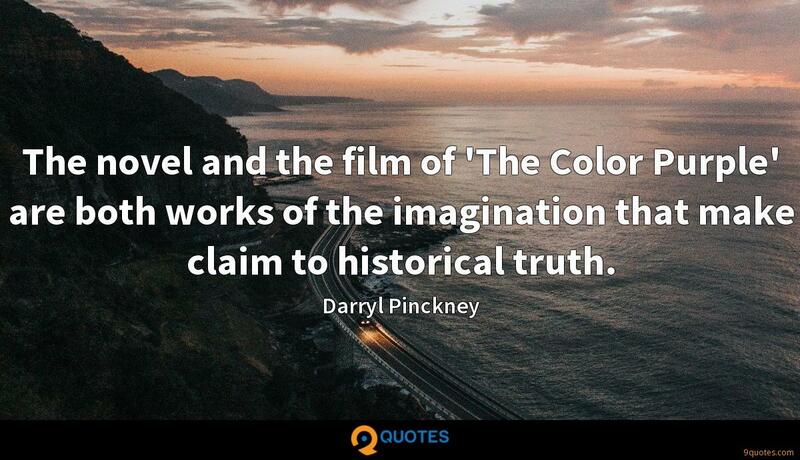 The novel and the film of 'The Color Purple' are both works of the imagination that make claim to historical truth. 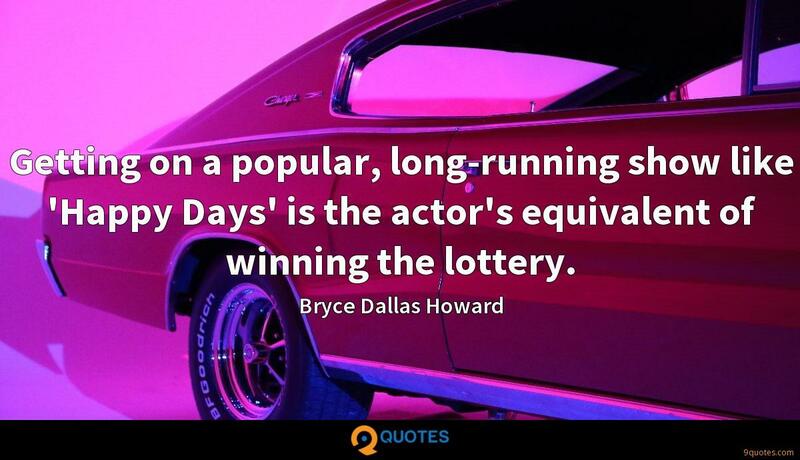 Getting on a popular, long-running show like 'Happy Days' is the actor's equivalent of winning the lottery. Tom Hanks is fantastic - he is one of my dad's good friends, and he's very warm and funny. 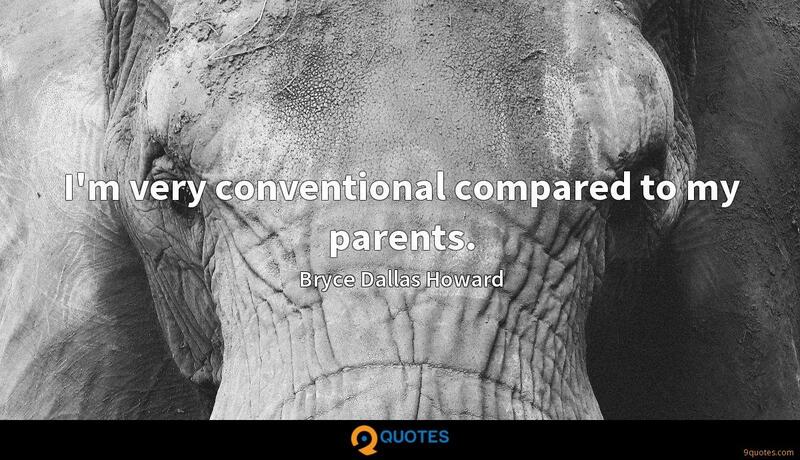 I'm very conventional compared to my parents. What I do is not go outside. 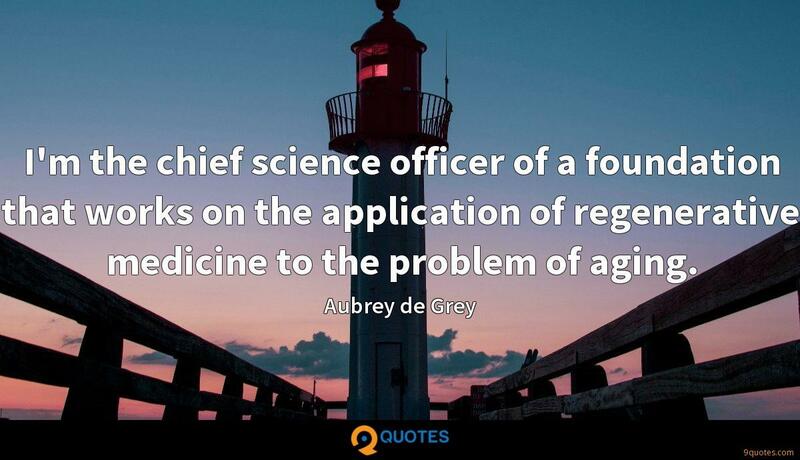 My hobby is that I write, so if I'm not acting or being a mom, I'm writing.